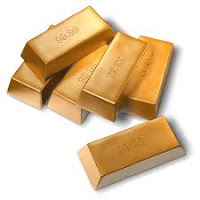 MCX gold is trading in green at the levels of 29736 with a uptrend of 0.56% and is recommended to buy for today's level. For mcx silver going long at Rs 53,500 with a stop loss placed below Rs 53,250 per and he expects prices to move up and test levels of Rs 54,150. The mcx crude oil is trading in a up ward trend and is advised to buy for today's session it is at a gain of 1.01% levels. The gold showed gains and is expected that it will take more upward move.